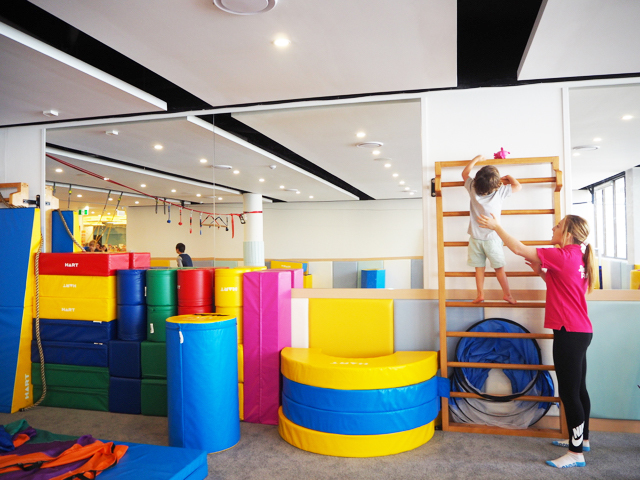 This week, we tested out Simply Fun at Chatswood on the North Shore. The center opened late last year and has proven popular with families wanting their little one(s) to take part in physical activity and free play. Simply Fun offers a wide range of inspiring programs for children aged 6 months through to 10 years that encourage physical, mental and social development in their engaging and multi-sensory learning environment. Simply Fun runs parent assisted classes, non-parent assisted classes and after school classes as well as birthday parties and school holiday camps. We attended the Energetic Explorers program which is suitable for 2.5 to 3.5 year olds. The class focuses on giving your little one(s) confidence in their movements, in their ability to jump, hop and complete different gymnastics moves as well as take part in educational games. We started the class with a little run around, a welcome song and the little nursery rhyme song Five Little Ducks. Little Mister loved singing along and taking the little peg ducks off the sheet every time they ran away. Kids and their parents then followed a circuit around the room taking part in different physical exercises. The circuit course changes every two weeks. Valerie the instructor on the day was extremely engaging and children responded really well to her instructions and the exercises she proposed. Little Mister really enjoyed working with Valerie and had so much fun and kept going back for more. Another fun exercise that little Mister really liked was pushing a little scooter board on the ground and feeding the Easter bunny with carrots. A fun little numeracy game where kids are asked and given a number of carrots they would like to feed the bunny. Once the kids grab the carrots, they push the little scooter board with carrots and head to a number of bunnies with a number on them. Parents help their little one identify the number bunny to the number of carrots. Kids then did a fun game of identifying fruit & vegetables on cards shown to them. Kids then had some time to take part in different fun activities around the room like bucket swings, climbing a climbing frame to grab a little pig and having fun on little donkeys. We then finished the class with a parachute game, some singing and lots of bubbles. 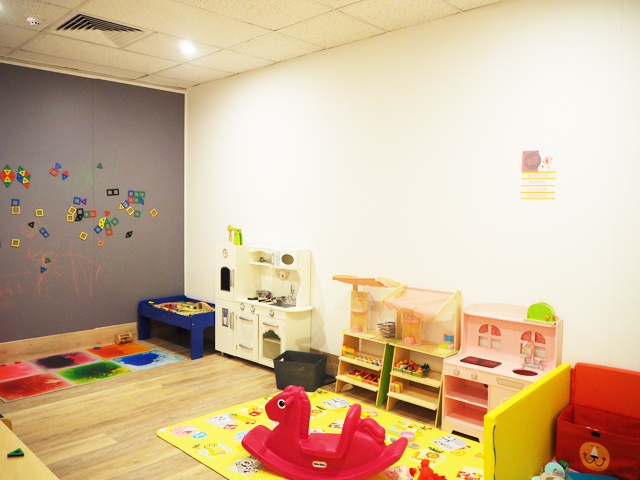 Kids attending the class can have a play before or after the class in the ‘Free Play’ area. Non-class goers can take part in ‘Free Play’ anytime and explore the center’s multi-sensory play area at a small fee or a reduced fee for members. 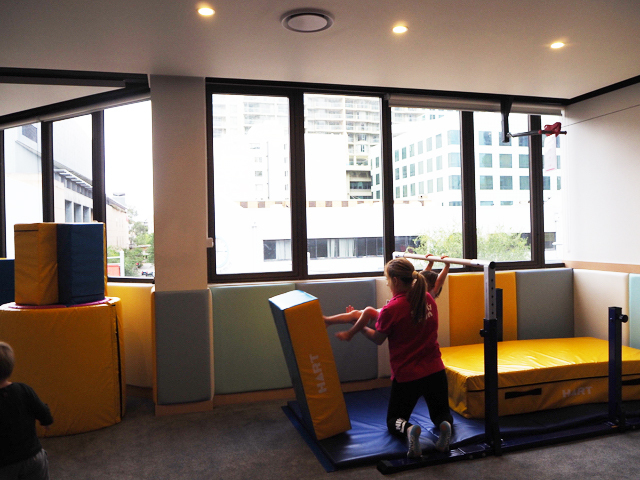 Simply Fun is currently offering 3 Trials for Just $50 and is an approved provider with NSW Active Kids & NSW Creative Kids. Eligible families can claim up to one Active Kids Voucher + one Creative Kids Voucher per calendar year towards recreation programs designed for children who are enrolled in school, aged between 4-18 years like Super Ninjas (Active Kids), Kids Drama (Creative Kids) and Kids Hip Hop (Creative Kids). Little Mister had an amazing time at Simply Fun Chatswood this week taking part in their Energetic Explorers Program and Free Play and we can’t wait to visit again - it was very hard to lure him away haha! Busy City Kids were hosted by Simply Fun for the purposes of a review. All opinions & feedback are genuine & truthful. For more information on Simply Fun Chatswood, head to their website.